You are currently browsing articles tagged belgian. This came out to be a pretty nice beer. I didn’t do anything fancy (no secondary, no fining agents) and was pretty happy with the result. I added a bit of fresh orange peel to give it a bit more zest though I’m not sure how much it added over the dried peel that came with the kit. 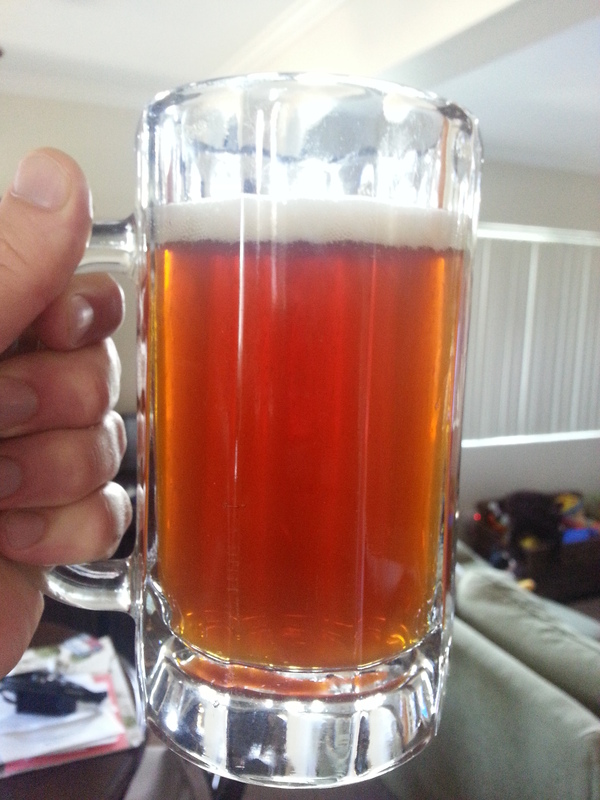 It has a nice hazy color and is well carbonated (if not too much). If I were to do this again I’d reduce the coriander a bit as it is a bit strong for my tastes, but not so much that it ruins the beer. I didn’t do anything fancy for this beer and left it in the primary untouched the whole fermenting time (and a bit longer). I did a bit more research of Witbiers and came across this post which suggests fresh orange peel. So I added a bit of my own to the kit. "The best way to add citrus character is with fresh citrus. The Petrified bits of orange peel often used may be authentic, but fres zest has a much brighter character. Select tangerines or oranges with a nice bold, fresh, aroma...Use a citrus zester to peel the very surface of the skin and avoid digging deep into the white pith as it is bitter and lacks citrus character. 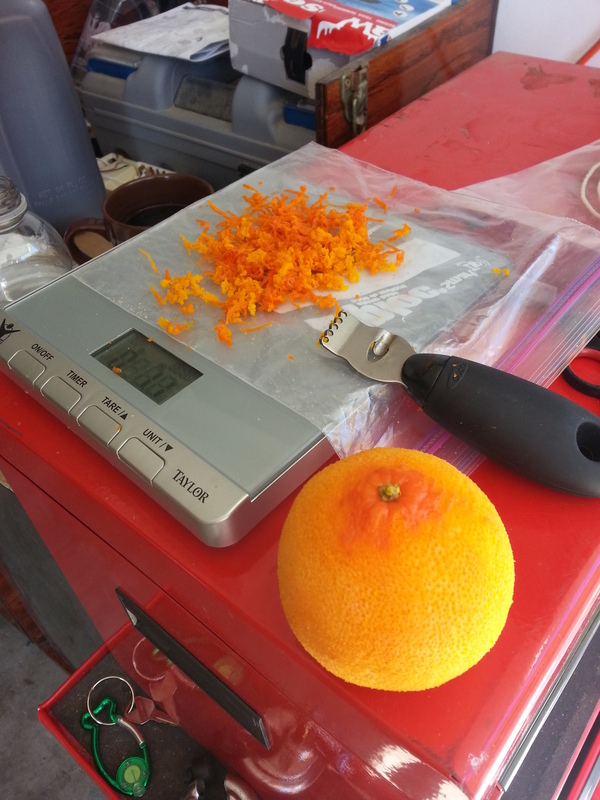 Measure the zest by weight, targeting about 1 to 2 ounces in a 5 gallon batch." So I didn’t do the yeast start calculations correctly and subtracted 5 months instead of 4. This resulted with an over pitch but given that I hit my OG and FG right on everything worked out just fine. Also, I didn’t clean out my tubing right away on brew day. Some of the hoses look stained now. I’m not sure if they would have been if I’d cleaned everything right away, but I think they are still usable. 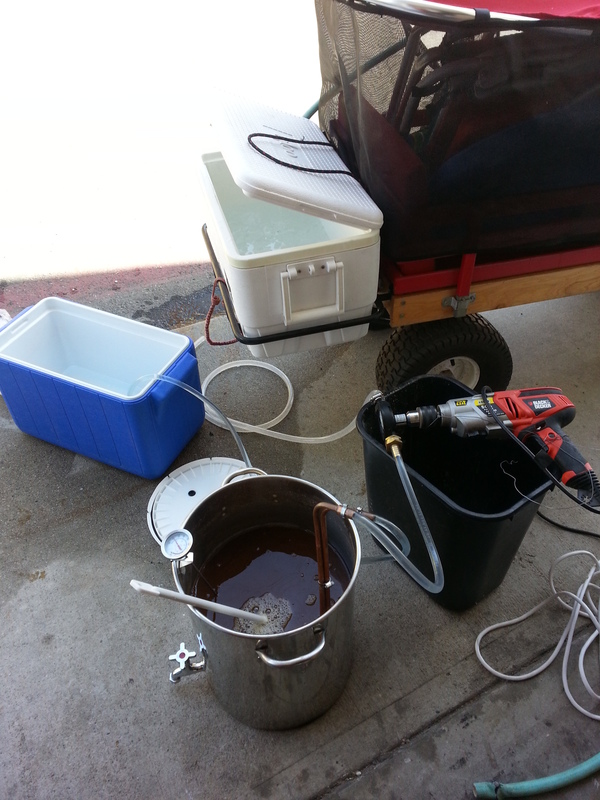 Finally, my fermentation could get down to cold crashing temperatures. At one time it was iced over so I had to let the thaw out. This was the first time it has ever iced up and after that either something broke in the A/C unit or just I’ve never tried to cold crash when it was this warm. Either way my fermentation chamber could only get down to ~55 degF and that was with it running almost none stop. I really hope it didn’t break. As for the coriander, he says, "I gently crush the coriander with the back of a heavy spoon to expose the inside of the seeds, which gives it a fairly strong, spicy character versus whole seeds. The level of coriander is probably the area most brewers overshoot, resulting in a really peppery beer. The desired result is a gentle background spicing not an overwhelming one. If you have fairly fresh coriander, start with .4 oz per 5 gallon batch during the last 5min of boil."